Bayraktar TB2 is a MALE tactical unmanned aerial vehicle (UAV). Image: courtesy of BAYKAR. The UAV can be deployed in reconnaissance and intelligence missions. Image: courtesy of BAYKAR. The Turkish Land Forces received the first batch of Bayraktar TB2 UAVs in 2014. Image: courtesy of BAYKAR. 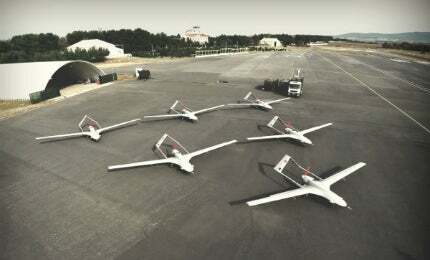 The Turkish Land Forces operates 12 Bayraktar TB2 UAVs. Image: courtesy of BAYKAR. Bayraktar tactical UAV was developed by Kale Baykar JV, a joint venture of Baykar Makina and the Kale Group. The UAV is an ideal platform for conducting reconnaissance and intelligence missions. "The UAV is an ideal platform for conducting reconnaissance and intelligence missions." Phase one development of the prototype Bayraktar Block A began in 2007 and first flight was made in June 2009. The contract for phase two development and serial production was signed between the Undersecretariat for Defence Industries (SSM) and Kale-Baykar JV in December 2011. The second phase involving the development and serial production of Bayraktar Block B (TB2) commenced in January 2012. Bayraktar TB2 completed its first flight in April 2014. The first acceptance tests of the UAV were conducted in November 2014 and six UAVs were delivered to the Turkish Land Forces by 2014. A second batch of six indigenous Bayraktar TB2 UAVs was handed over to the Turkish Land Forces in June 2015. Bayraktar TB2 features a monocoque design integrating an inverse v-tail structure. The fuselage is made of carbon fibre, Kevlar and hybrid composites, whereas the joint segments constitute precision computer numerical control (CNC) machined aluminium parts. The engine is positioned between the tail booms and fuel is stored in bladder tanks. Each Bayraktar TB2 system consists of six aerial vehicles, two ground control stations (GCS), three ground data terminals (GDTs), two remote video terminals (RVTs) and ground support equipment. The UAV has a length of 6.5m, wing span of 12m and a maximum take-off weight of 630kg. Designed for short range reconnaissance and surveillance missions, Bayraktar is currently operational with the Turkish Land Forces. The UAV is equipped with a triple redundant avionics system. An onboard avionics suite encompasses units, including microcontroller, engine control, servo motor power control, engine signal processing and I/O and GPS receiver units. It also features a Pitot static sensor, laser altimeter and alpha beta sensor modules, as well as speed, temperature and fuel level sensors. Bayraktar TB2 UAV can carry a maximum payload of more than 55kg. The standard payload configuration includes an electro-optical (EO) camera module, an infrared (IR) camera module, a laser designator, a laser range finder (LRF) and a laser pointer. The redundant flight control system allows autonomous taxi, take-off, navigation, landing and parking operations without assistance from any external sensor. Sensor fusion architecture using modern non-linear control techniques ensures good control and guidance of the UAV. The unmanned vehicle is also capable of employing semi-auto modes during missions. Bayraktar TB2 UAV is controlled by a ground control station based on a NATO spec ACE-III mobile shelter unit. The module integrates pilot, payload operator and image exploitation consoles. The station is equipped with rack cabinets, air conditioning unit, NBC filtration system, power supply units, wireless systems and internal communication systems. The power plant integrates a 100hp internal combustion engine driving a two-bladed variable pitch propeller. The tactical UAV has a range of more than 150km and can fly at a maximum altitude of 22,500ft. It has a maximum speed of 70kt and endurance of more than 20 hours. This project forms part of our recent analysis and forecasts of the global unmanned aerial vehicles (UAV) market available from our business information platform Strategic Defence Intelligence. RECADATA is one of the professional SSD manufacturers, dedicated to collaborating with its customers and partners to develop and manufacture extreme performance, high reliability and cost-effective SSD products for automation, transportation, banking and military applications. SkyDec is a renowned innovator, developer and supplier of innovative military hardware and software with a special focus on military navigation and communication for defence organisations around the world.